I recently shared Dr Ted Naiman’s latest “insulinographic” that attempts to explain the adipose centric theory of diabetesity. It created some great discussion as well as some confusion, so I thought it would be worth an article to unpack the critical insights about how insulin really works in our body and what we can do to reduce body fat and avoid diabetes. The first clarification is that this isn’t a meme or a graph. It’s more an infographic that attempts to explain how insulin is anti-catabolic and works like a dam to hold back the flood of stored energy in our body. The dam analogy builds on the line of thought initially detailed in the Does insulin resistance really cause obesity? article. I have spent a lot of time analysing the insulin index data which helps us to quantify our short-term insulin response to food. This is helpful for people with diabetes (like my wife Monica) to choose foods that keep their blood sugars stable as well as help them more accurately calculate their insulin dose by accounting for carbohydrates, fibre, protein and fructose. However, with all the focus on carbs, fat and protein, I fear we may have neglected the most important thing that influences our insulin response to the food we eat. Before we switched to a lower carb dietary approach, my wife Monica was taking about 50 units of insulin per day to manage her Type 1 diabetes. ABout half of that was for food (bolus) and half was her background insulin (basal). These days, Monica takes about half the insulin that she used to. However, now about 80% of her daily insulin dose is basal insulin while only 20% of her insulin is taken to manage her blood sugars levels around meals. Monica’s basal insulin demand has reduced a little due to some weight loss and improved insulin sensitivity. 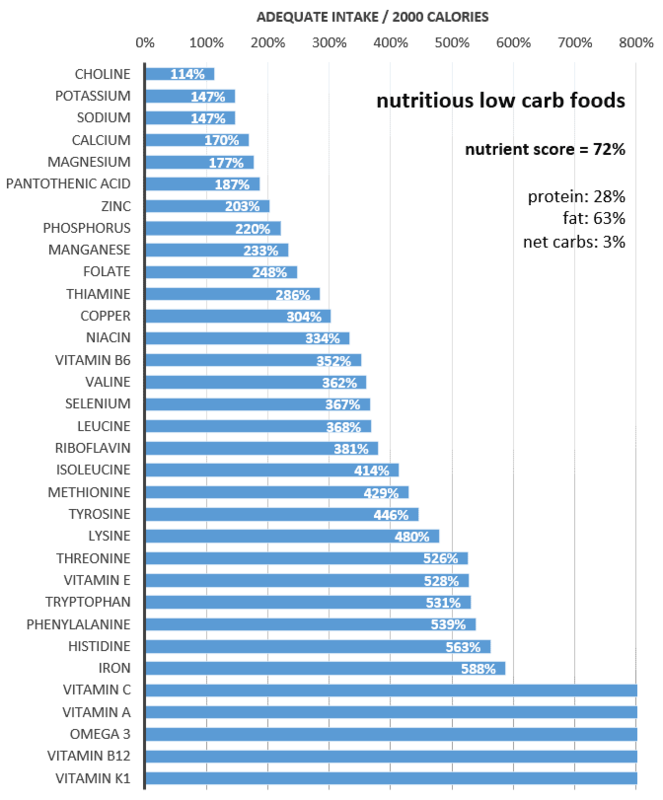 The most interesting observation is that the vast majority of the insulin required by someone on a low carb diet is not related to the carbohydrates or even the protein in the food they eat. While carbs and protein raise insulin in the short term, the fat on our body and the fat in our diet have the most significant influence on our insulin levels. The grey area in the chart below shows the insulin released across the day by someone with a functioning pancreas. The pink line shows how someone with Type 1 diabetes tries to mimic this with an insulin pump. A lower carb diet is a no-brainer for someone with diabetes to help them stabilise their blood sugars and appetite. However, we get to a point of diminishing returns when we only focus on the carbohydrate and protein in our diet while ignoring the fat in our diet and the fat on our body. Elevated fasting (or basal) insulin is the elephant in the room for many people on a low carb or keto diet. Many people on a low carb or ketogenic stabilise their blood sugars and improve HbA1cs, but are still obese with high fasting insulin levels. The harsh reality is that replacing the carbs and protein in your diet with fat will not reverse your hyperinsulinemia unless it also reduces the amount of fat stored on your body! That’s where Ted Naiman’s “insulinographic” comes in. Many people think that elevated insulin is the cause of obesity. But, I’m coming to realise that most of the time it’s actually the other way around. 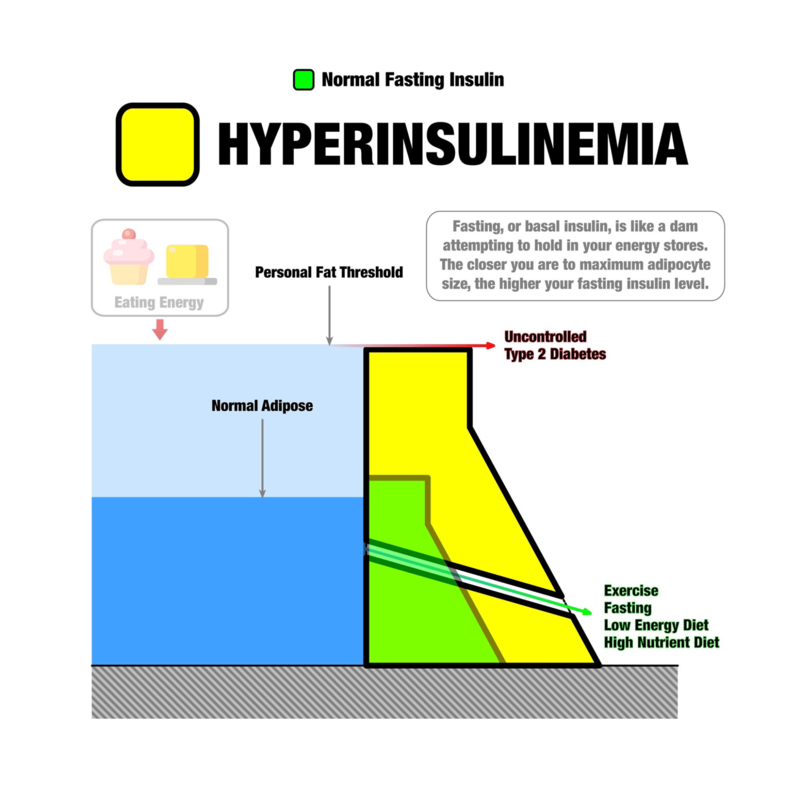 It is actually obesity (or at least being overfat relative to our Personal Fat Threshold) that causes hyperinsulinemia. Rather than just building our muscles and fat stores or forcing glucose into the cells, insulin also works to keep fat and muscle in storage. Insulin prevents entropy (or chaos) and ensures that we don’t melt into a puddle like Olaf the Snowman. Someone with Type 1 diabetes does not have enough insulin to prevent catabolism. Their protein, fat and glucose stores in their body get released into their bloodstream in an uncontrolled manner and result in high glucose, high free fatty acids and high BHB ketones. The good news though is that if your pancreas is working, you will produce insulin when you’re not eating to enable you to regulate the amount of fuel being released from storage into your bloodstream. Healthy fasting insulin levels in hunter-gatherers range between 3 – 6 mIU/mL. In western populations, the average fasting insulin level is about 8.6 mIU/mL. People with insulin resistance or diabetes have much higher levels of fasting insulin. Insulin is the hormonal signal that raises the dam wall to slow the flow from stored energy via our liver while the energy in our bloodstream is being used up. The more fat you have to hold back in storage, the higher your insulin levels need to be. This helps us to understand why many people low carbers who are obese have high fasting insulin levels. Even though they may be eating minimal amounts of carbs and protein in an effort to keep their insulin levels low, their body is keeping insulin high in an effort to hold their energy in storage until the energy in their bloodstream is used up. To help elaborate on this I have fleshed out what various scenarios would look like in terms of body fat, insulin levels and energy in the blood (i.e. 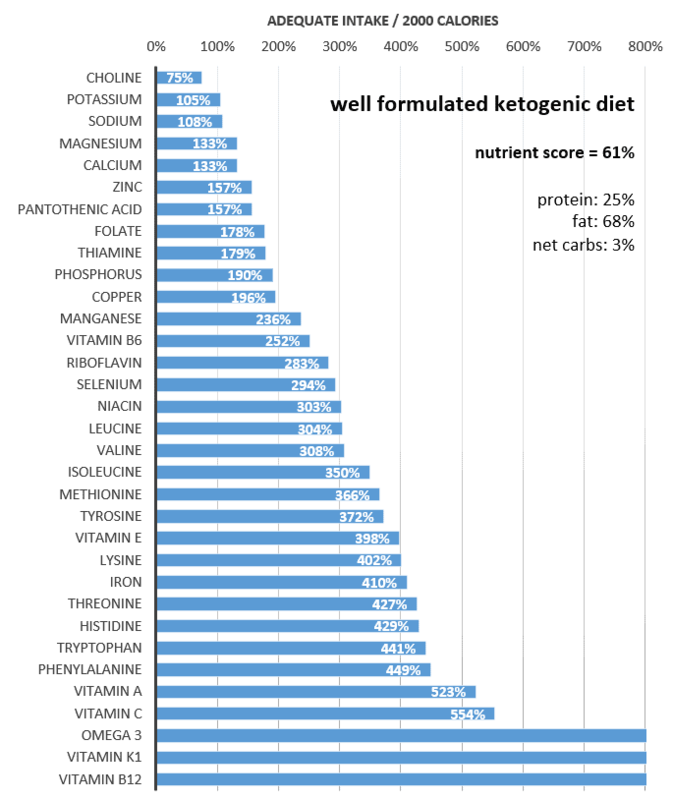 glucose, ketones and free fatty acids) in the table below. Dr Jason Fung points out that people using exogenous (injected) insulin to manage their diabetes can develop obesity and insulin resistance because of their medications. Dr Robert Lustig also explains how someone injected with a little bit of extra insulin at each meal will store more fat and not be able to mobilise their body fat (lipolysis). To some extent, this is what happens when someone with diabetes injects insulin to cover a crappy nutrient-poor insulinogenic diet. With large doses of exogenous insulin to cover a high carb processed diet they never quite get the insulin dosing right. They end up overdosing with insulin and having to eat more to rescue themselves from low blood sugars. The great thing about a low carb more less processed foods for these people is that it helps stabilise blood sugar and insulin doses which is easier to manage with smaller doses of insulin. To go back to our “dam” analogy, excessive exogenous insulin for someone who already has hyperinsulinemia is like building our dam wall higher than it needs to be. The higher dam wall will hold back more energy in storage than it needs to and less of the energy we eat will be released into the bloodstream. We feel hungrier because the excessive exogenous (injected) insulin is not allowing energy to be released into circulation. We will end up eating more, and this excess energy will be stored more easily. We will become more and more resistant to the insulin we are injecting as our fat stores become fuller, and we need more insulin to hold our fat in storage. The solution here is a low carb diet to help stabilise blood sugars and hunger driven by excessive swings in insulin and blood sugar. Where this insulin-centric view of diabetes and obesity fails is that it doesn’t translate to someone who is not taking exogenous injected insulin or drugs that stimulate insulin release from their pancreas. Our bodies optimise for efficiency. Unless you have an insulinoma (a tumour on your pancreas), your pancreas will not secrete more insulin than it needs to. Our pancreas will not build the dam wall higher than it needs to be to hold back the energy coming into our system! Irrespective of insulin levels, you cannot store energy we do not eat. Anabolic – Although dietary fat doesn’t raise insulin much in the short term, you will always have enough basal insulin on board to store the fat you eat on your body (note: this is the anabolic. Anti-catabolic – Your pancreas will always produce enough insulin to slow the flow of energy out of the stores on your body while you use up the energy from the food coming in from your mouth. Our fasting insulin is proportional to the amount of fat stuffed away in storage which is directly proportional to the amount of food that we have eaten. We cannot really blame obesity on insulin resistance. It is our insulin sensitivity that enables our fat cells to grow. Once we become insulin resistant, we actually find it harder to store excess energy in our adipose tissue. a high nutrient density diet. Exercise, particularly resistance excercise or HIIT, is a great way to build insulin sensitivity and helps us to burn off fat and sugar without the need for insulin. People with Type 1 diabetes find they need to reduce their insulin dose when they are active and increase their basal by about 25% when they don’t exercise. Not eating for a period of time is a great way to reduce your insulin. Once you use up the glycogen in your liver, your body turns to the fat stores and lowers insulin levels to allow more stored body fat to flow over the dam into the system. However, for some people, the problem with fasting is that it’s easy to overdo the refeed. When I was fasting regularly to try to lose some extra fat, I found I would permit myself to eat more than I would otherwise have eaten. And the foods that I chose to eat were often less nutrient dense and more energy dense dense than usual. I have talked about using your bathroom scale or blood sugar readings to refine the frequency and quantity of your feeding to make sure you are moving towards your goal. Unfortunately, just like tracking calories, these approaches to fine tuning your food intake require self-discipline and deprivation which is not fun. Even better than tracking blood glucose or your weight, another way to manage your fasting/feeding frequency and food intake would be to measure your blood insulin level to ensure it was going down to new lows before you ate, and then ensure that when you refeed that you didn’t drive insulin too high with too much food. Unfortunately, there is no home test for insulin yet, so our blood glucose metre and the bathroom scale are the best we can do for now. Many believe that they will keep insulin levels low if they focus on higher fat foods when they refeed. However, it is possible to drive higher levels of insulin with a high-fat intake in only a short amount of time. Afterwards, he finished the fast on Sunday (8 April as per the date on the Instagram image below) he proceeded to boost his fasting insulin to 18 mIU/mL after a day of high fat refeeding before the laboratory was open to measure his post-experiment labs on Monday. This post refeed insulin was actually higher than his 14.2 mIU/mL insulin before the experiment began. This also aligns with the study results shown below where participants lowered their insulin and triglycerides more higher protein lower carb diet. Similarly, this twelve month randomised control low carb study found that people had better outcomes in terms of weight, body fat, insulin, HOMA-IR, HDL, hunger and emotional eating with higher levels protein. It will be interesting to see how Jimmy’s upcoming high-fat bio hack goes. I hypothesise that Jimmy’s short-term insulin level may be lower after meals, but his longer-term fasting insulin will be higher on the high-fat approach. Once we account for the Thermic Effect of Food (TEF), there is actually more available energy in the high-fat approach as shown in the calculations below. With less energy actually available to the body in the high protein scenario, the pancreas will produce less insulin to allow more energy to be released from storage compared to the high-fat scenario. As noted in Ted’s insulinographic, a low energy density diet is another way to keep your basal insulin levels down. You can achieve this by focusing on foods with a lower energy density which will make it harder to overeat. This will ensure your body fat stores are used. With less fat to hold back in storage, your insulin levels will decrease. This is why we see some people who make the switch to a whole foods plant-based diet reduce their insulin requirements and reverse their diabetes. As long as they stick to whole foods, they will not be able to ingest enough energy to maintain their weight, so their insulin comes down. However, this does not hold for processed vegan junk food which can still be energy dense, highly processed, hyperpalatable and easy to overconsume. What about trying to eat less food? Another option is to try to simply eat less food. While this can be helpful, it shouldn’t be the only technique used as simply restricting the intake of nutrient-poor junk food is a recipe for nutrient cravings and rebound binge eating. Adequate protein. If you eat foods that contain the vitamins, minerals and essential fatty acids you need you will obtain plenty of protein which, on a calorie for calorie basis, is the most satiating macronutrient. There is a lot of confusion around protein, but the reality is, if you are eating foods that contain adequate levels of vitamins, minerals and essential fatty acids you will be getting plenty of protein. Conversely, actively avoiding protein may lead to nutrient deficiencies. Whether you approach this in terms of higher nutrient densitym, targeting the most satiating macronutrients or the foods that will naturally provide you with greater satiety you arrive at pretty much the same point. Energy density. A nutrient-dense diet typically has plenty of whole foods that have lower levels of refined carbs and processed fats which have a lower energy density and hence are hard to overeat. Minimally processed. Quantifying nutrient density is a foolproof way to ensure that the food contains the micronutrients you need rather than hyperpalatable flavourings and colours from Frankenfoods that are designed to look like they are good for you (but they’re not). These minimally processed foods are also satiating without being hyperpalatable so are self-limiting. Prevents cravings. Good nutrition, avoiding diabetes, weight control and lower insulin levels seems to boil down to getting the nutrients you need without too much energy. Focusing on nutrient-dense foods also gives the best chance of avoiding nutrient cravings that will unnecessarily drive your appetite. Most of the time we focus on carbs (and to a lesser extent protein) as being the culprit when it comes to raising insulin levels. But does this hold true when we look at the big picture? The insulin index data suggests that higher fat foods have a lower insulin response. But is this simply because the insulin index testing only measured the insulin response over three hours? The chart below on the left shows that insulin rises more slowly for a high-fat meal compared to glucose or a mixed meal. However, it still rises and looks like it will keep on going for a while after the 120-minute measurement. If we were able to test the insulin response over 24 hours, I think we would see that insulin response is actually more closely related to the available energy in our food rather than a specific nutrient. Is our long-term insulin response simply related to the amount of energy in our food and hence the amount of energy needs to be held back in storage by the liver? Is it only because carbs and protein have a higher oxidative priority than fat that we see a greater short-term spike in insulin (i.e. the body needs to act more quickly with a sharper insulin response to hold back energy from carbs in storage compared to fat or protein)? The insulin-centric view of obesity, diabetes and insulin resistance focuses on reducing insulin by switching carbs out for fat to control our (short term) insulin response to food. Meanwhile, the adipose-centric view of diabetes is a little bit more sophisticated and complete as it also considers the long-term insulin response to the food we consume. Someone who is lean and insulin sensitive will have healthy levels of adipose tissue that can quickly swell to take on more energy and then release it. If you are insulin sensitive like these guys, you store precious energy very efficiently when it is available. But our fat stores can only take in so much energy before they become full. There is a limit to how high you can build your dam wall. When your fat cells become stuffed and can’t take on more energy, they are said to be “insulin resistant”. At this point, any excess energy spills out into the bloodstream as elevated glucose, free fatty acids or ketones. Excess energy is also pumped into our vital organs, and we develop fatty liver, fatty pancreas, heart disease and the other complications of western civilisation. To be clear, it’s not being obese that causes diabetes. Instead, it’s a matter of being overfat relative to your Personal Fat Threshold. Some people are “blessed” to be able to store a lot more energy in their fat stores before they become insulin resistant and diabetic, while others find that can only store a little bit of energy in their adipose stores before it overflows and ends up being stored in their vital organs and bloodstream. Listed below is the progression from health to disease, with hyperinsulinemia building progressively throughout. Insulin-sensitive healthy fat levels that are able to easily absorb and release any excess energy for later use. Expansion and filling of insulin-sensitive adipose tissue with sustained energy excess. Fat cells become full and exceed your Personal Fat Threshold (largely influenced by genetics). Fat cells become full and “insulin resistant” relative to other parts of the body. Excess energy builds up as visceral fat in vital organs and spills over into the bloodstream (aka diabetes). Excessive swings in blood sugar and insulin cause a dysregulated appetite driving further overeating. Complications of western disease due to (i.e. obesity, diabetes, heart disease, Parkinsons, Alzheimers, dementia etc). Stabilise blood sugars and insulin swings by reducing processed carbohydrates to help improve appetite control and eliminate the need for exogenous insulin. Focus on more nutrient dense, less energy dense foods to improve satiety and induce an energy deficit. A sustained energy deficit causes a reduction in visceral fat which improves the function of the heart, liver, pancreas and brain. Reduced pressure on the adipose fat allows to below the Personal Fat Threshold allows incoming energy to be buffered in fat stores without overflow into the bloodstream (i.e. reversal of diabetes). Fat loss further reverses insulin levels and blood sugars to achieve optimal levels for longevity and performance. So, if insulin and carbs aren’t to blame for our obesity and diabetes then what can we do? Is it back to just eat less, exercise more? Well sort of, but not exactly. Minimise cheap hyper-palatable processed food that overrides our satiety signals and tricks our taste buds. Invest in quality food and learn to cook at home from fresh whole ingredients. Monitor your nutrient intake by logging your food using Cronometer. Eat your meals mindfully with other people rather than in front of a screen alone. Don’t use food as a source of comfort. Sleep and rest enough so you don’t need to use energy dense food as a pick me up. Be active and build as much lean muscle as you can in order to efficiently burn the carbs and fat you consume. Focus on nutrient-dense foods that are minimally processed that will minimize cravings. If you focus on maximising the good stuff in your diet, you will not have to worry as much about avoiding the processed food that are full of sugars, flavourings and seed oils. 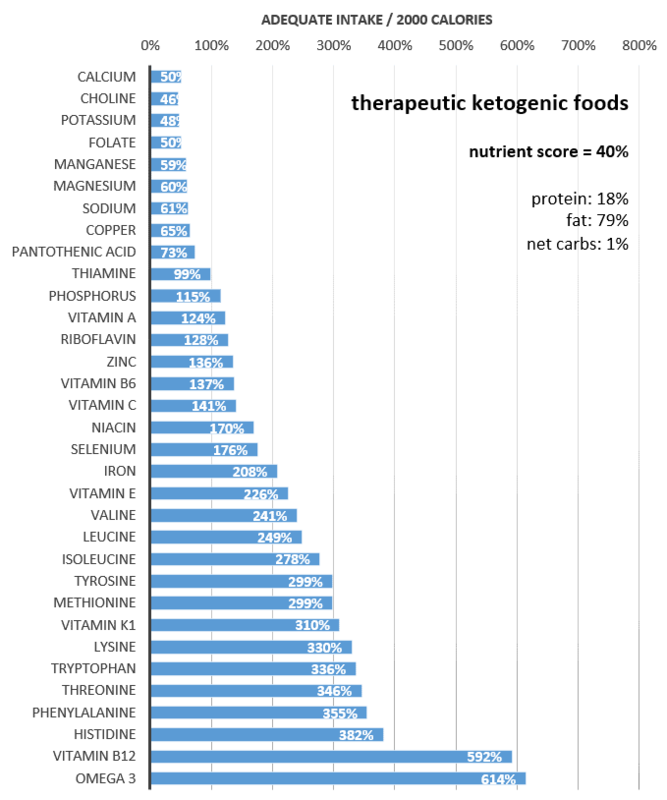 Don’t demonise macronutrients, but instead prioritise nutrient-dense whole foods. If all of the above still don’t get you to where you want to be then you may need to track your intake for a while and titrate down your calorie intake to recalibrate your version satiety. The good news is that many people find when focusing on maximising the nutrient density of their diet managing the quantity of food isn’t such a big deal. The insulin reading of 18 was taken on the Monday when the lab was open, but the experiment finished on Sunday 8 April and then he refed on F-bombs and his normal diet. So the insulin reading after five days of the high protein is the only one that is representative of high protein or any level of energy restriction. The jump from 5 to 18 is a good indication of how he body responds in the longer term to higher levels of energy. In the podcast when he talks about his insulin response on day 5 to high protein. It jumped from 8.8 to 20 after high protein (although 20 is still pretty good for a post meal reading). Just got a chance to list to the podcast. It seems that all of Jimmy’s insulin resistance markers when down and he noted that he lost weight when eating high protein (which has not been able to do on a high fat diet). His issue was low blood sugar after eating. What seemed interesting was the blood sugar levels after eating were similar to what he had during his 7 day fast. Carbohydrates cause cancer, diabetes, obesity, heart disease, liver disease and dementia. Do you have a reference for that belief? Interested in your take on this study which shows hyperinsulinemia precedes diabetes and it is not correlated with obesity. Thank you for this article. It’s been challenging for me to grasp the adipose-centric model of diabesity, but this article has helped and in fact explains some real life observations for me. I lost 70 pounds on a commercial PSMF program before conceiving my first child. After that pregnancy I started more of a traditional Keto diet with high fat and moderate protein. My weight was stable at about 50 pounds down from my highest, but I never reached my pre-pregnancy weight and I noticed that I seemed to be gaining size around my midsection (despite no change in weight). I’ve now had a second child and am planning to do another PSMF once I’m done breastfeeding. If this is successful I will certainly have anecdotal support for this theory. Thank you for helping me to understand. PSMF is essentially what is prescribed after weight loss surgery. People keep saying weight loss surgery is forced fasting but at most it is intermittent fasting with emphasis on protein first. I am 5 years post sleeve and working back from regain by going back to the basics of the plan of no snacking and protein first. I do not regret the surgery. It has taught me how to eat properly and my experience was very smooth with an excellent surgeon with proper diet and support post surgery. Which study is the “one year randomized controlled trial isocaloric isocarbohydrate low carb”? A google search comes up empty. Why is PSMF simply not calorie restriction, which has been shown to fail basically 100% of the time (not to mention cause many deleterious effects, eg, ghrelin goes up, BMR goes down)? I can’t understand that. But… Doesn’t fasting still work in the end? Yeah. If you don’t overdo the refeed, which is possible if you’re choosing lower protein more energy dense foods. Marty, This is auch a lovely article. Can’t thank you enough. Could this be one of the reasons why your fasting glucose reads higher than Post prandial? I have an HbA1c: 5.7, Fasting 110, PP 95, Fasting insulin 21. I have been trying Keto and strength training, My fasting glucose had dropped to 84 when I was on strict keto and fasting insulin has dropped from 24 to 21. I especially enjoyed the part regarding fat/keto and fasting insulin. I wasn’t aware of that, like that JM had a 14.2 value. (after all these years). What a shame that there aren’t any studies where the read extends over the 120th minute mark. How is that even possible? This article was so enlightening for me. Thank you! I have been keto for 2+ years and my weight loss was okay at first but I have barely lost anything the last several months and I still have so much weight to lose. I could not figure out what the issue was as I kept zeroing in on my macros and getting my carbs really low (10 grams). 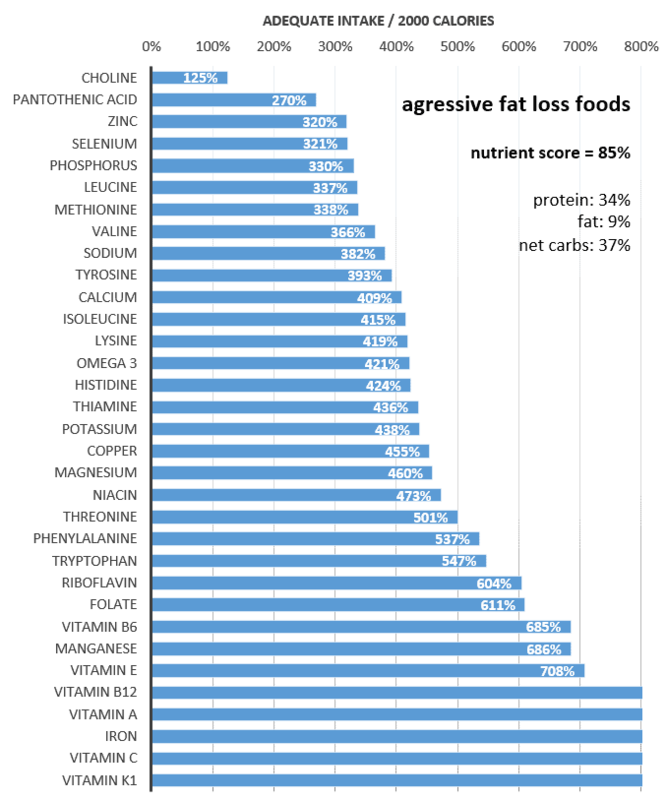 I had a really bad experience on a low-fat diet years ago so I thought more fat was nourishing and helpful. Your article explained WHY my weight loss is so little while my weight is still so high. Started PSMF 5 days ago and have dropped 5 pounds. Feeling very excited with this information and a solution! The metabolic pathway for dietary fat does not depend on insulin for storage so how can it raise basal insulin levels? Are you saying an excess of energy from too much dietary fat creates a calorie surplus that increase basal insulin levels? Yes. The more fat we have to hold in storage the harder our pancreas needs to work to produce basal insulin.